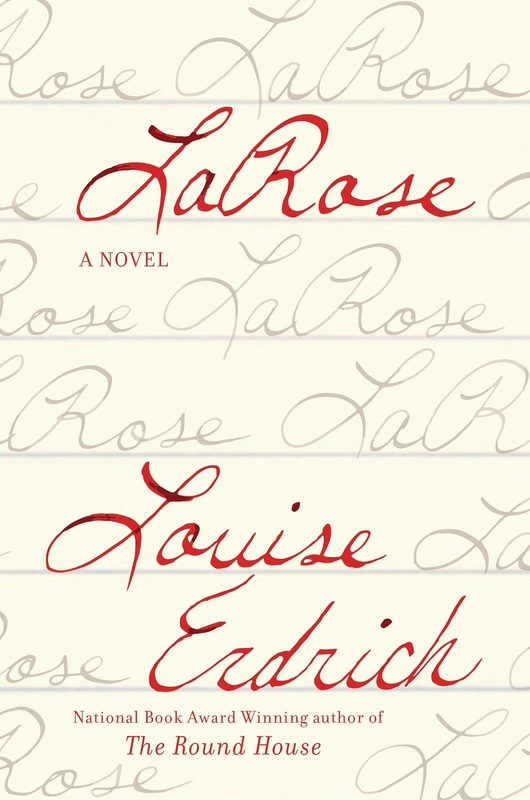 I was lucky enough to hit one of those holiday weekend/good book jackpots—a few days off, plus Louise Erdrich's latest novel, LaRose. The title character is a boy of 5 whose father, Landreau, "gives" him to the family of a same-aged boy of his closest friend Peter; Landreau shoots the child by accident. (Their wives, Emmaline and Nora, are half-sisters.) The unthinkably generous act is a reparation tradition in Ojibwe culture. Set in North Dakota, the story occasionally jumps back in time to unravel some of the complicated relationships between the family and community members. As can sometimes happen in life, the children poignantly become protectors of the parents. LaRose is also name borne by four progenitors of the boy, all women. This legacy is given to the final child of a family, and so apparently inherited are his gifts of sensitivity and vision, in addition to being a good and loyal kid. Even when he's footballed between the two families—the Irons and the Raviches—he offers emotional salve and a raison d'etre in both homes for parents and siblings alike. The most extreme case is his foster mother, mentally imbalanced and suicidal. He and his sister Maggie share a "watching stone;" whichever sibling has it must try to make sure their mother doesn't try to kill herself. They systematically cleanse the house of bullets, rope, knives, even a chair used to try to hang herself. This setting sounds gloomy, if profound, but the rewards of the novel come in Erdrich's plainspoken yet probing descriptions of quotidian life. The richest emanate, somewhat unexpectedly, from the doings of tough kid Maggie—how she schemes to be wicked to her new little brother, stabbing him with a pencil so the lead breaks off (he turns it into a badge of honor by calling the remnant blue mark a "tattoo", and she in turn stabs herself so they match); how she beats up a brutish gang of boys as revenge for their cruelty to LaRose; how she doggedly learns to make "kills" in volleyball despite being short and scrawny. Childhood bonds and teenage crushes among the parents' generation are also explored. Romeo, a wounded scavenger and leech, finds surprising sanity and physical redemption after failing in an attempt to build a CSI-like case against Landreau, only to be foiled by the childrens' "mother-guarding" the rifles. He even makes belated amends of sorts with his son, adopted by Landreau to raise after the boy's mother (whose name the child never knew) bolted. 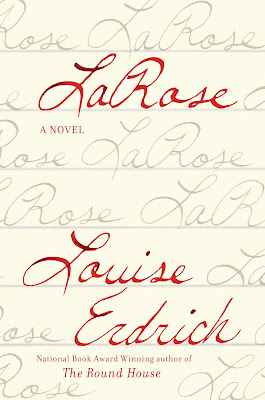 While there's less traditional Indian folklore in LaRose than there was in Erdrich's wonderful novel The Round House, it illuminates daily modern life and coping in Native Americans' lives, showing how tragedy, redemption, and small successes happen all the time, just like in the rest of the country.